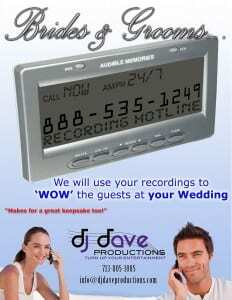 DJ Dave Productions provides Houston Wedding DJ & Entertainment Services to the greater Houston Area. Each wedding and reception is unique and customized for each individual bride to make her dreams come true. Do you want your guests to walk away from your event saying, “Wow!…I’ve never seen that before!…That was amazing!”? We can help make your event truly unique with one or several of our custom recording options. Everything from the ceremony to your toasts and to your feature dances. Even guests who are unable to personally attend can leave a special message for the guest(s) of honor. 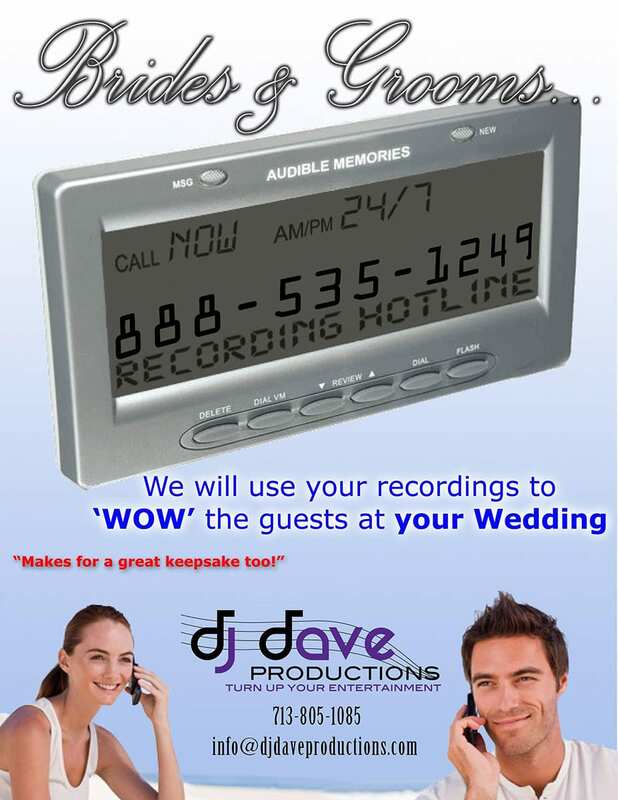 All messages are recorded on a CD as a gift for you to later reminisce about that special day in your life! Wow Your Guests with Audible Memories! Imagine dancing with your husband for the first time, and as the song begins, you are lost in each other as you hear your voices for the first time during the song professing your love for each other, your messages are edited to perfection and mastered into the first dance. Until now, Memories have been photographed, video taped, and stored in brides minds forever. Now, receive your Audible Memories CD as a keepsake so that you may cherish the celebration for a lifetime! 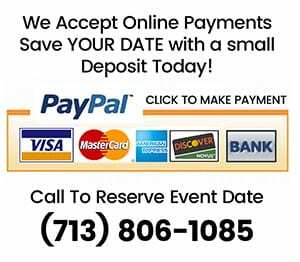 You may also choose to record a message from the bride to her father (also father to daughter) for the father-daughter dance. Or a message from the groom to his mother (also mother to son) for the mother-son dance. As with the First Dance, all messages are edited to perfection and mastered into the respected dances. While not all family and friends are able to attend, you can now give them the opportunity to record a message which we can playback live during your event. These keepsakes are also recorded on a CD and provided to you.